What is the cheapest way to get from Oplenac to New Belgrade? 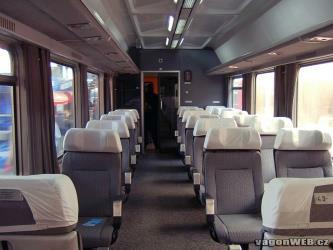 The cheapest way to get from Oplenac to New Belgrade is to bus and train which costs RSD 270 - RSD 400 and takes 3h 30m. What is the fastest way to get from Oplenac to New Belgrade? The quickest way to get from Oplenac to New Belgrade is to taxi which costs RSD 7500 - RSD 9500 and takes 1h 25m. Is there a direct bus between Oplenac and New Belgrade? No, there is no direct bus from Oplenac to New Belgrade. 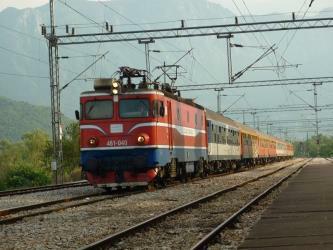 However, there are services departing from Topola and arriving at Београдска арена via Милоша Поцерца. The journey, including transfers, takes approximately 2h 10m. How far is it from Oplenac to New Belgrade? The distance between Oplenac and New Belgrade is 66 km. The road distance is 101.2 km. How do I travel from Oplenac to New Belgrade without a car? The best way to get from Oplenac to New Belgrade without a car is to bus which takes 2h 10m and costs . How long does it take to get from Oplenac to New Belgrade? 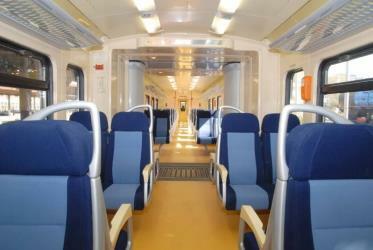 It takes approximately 2h 10m to get from Oplenac to New Belgrade, including transfers. Where do I catch the Oplenac to New Belgrade bus from? Oplenac to New Belgrade bus services, operated by Kolašin Prevoz, depart from Topola station. Where does the Oplenac to New Belgrade bus arrive? 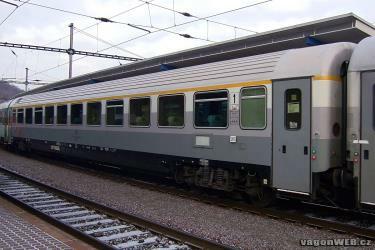 Oplenac to New Belgrade bus services, operated by Kolašin Prevoz, arrive at Belgrade station. Can I drive from Oplenac to New Belgrade? Yes, the driving distance between Oplenac to New Belgrade is 101 km. It takes approximately 1h 25m to drive from Oplenac to New Belgrade. Where can I stay near New Belgrade? There are 2881+ hotels available in New Belgrade. Prices start at RSD 2958 per night. What companies run services between Oplenac, Serbia and New Belgrade, Serbia? Kolašin Prevoz operates a bus from Oplenac to New Belgrade 3 times a day, and the journey takes 1h 15m. Rome2rio's Travel Guide series provide vital information for the global traveller. 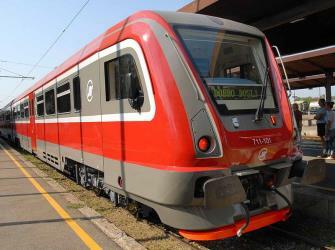 Read our range of informative guides on popular transport routes and companies - including How do I buy a London Underground ticket?, Getting to Milan from the airport and Which side of Niagara Falls should I choose (and how do I get there)? - to help you get the most out of your next trip. Belgrade Fortress (Serbian: Београдска тврђава/Beogradska tvrđava), consists of the old citadel (Upper and Lower Town) and Kalemegdan Park (Large and Little Kalemegdan) on the confluence of the River Sava and Danube, in an urban area of modern Belgrade, the capital of Serbia. It is located in Belgrade's municipality of Stari Grad. Belgrade Fortress was declared a Monument of Culture of Exceptional Importance in 1979, and is protected by the Republic of Serbia. It is the most visited tourist attraction in Belgrade, with Skadarlija being the second. Since the admission is free, it is estimated that the total number of visitors (foreign, domestic, citizens of Belgrade) is over 2 million yearly. Ada Ciganlija, colloquially shortened to Ada, is a river island that has artificially been turned into a peninsula, located in the Sava River's course through central Belgrade, the capital of Serbia. The name can also refer to the adjoining artificial Lake Sava and its beach. To take advantage of its central location, over the past few decades, it was turned into an immensely popular recreational zone, most notable for its beaches and sports facilities, which, during summer seasons, can have over 100,000 visitors daily and up to 300,000 visitors over the weekend. Owing to this popularity, Ada Ciganlija has been commonly nicknamed "More Beograda" ("Belgrade's Sea"), which was officially accepted as an advertising slogan in 2008, stylised as More BeogrADA. Skadarlija (Serbian Cyrillic: Скадарлија) is a vintage street, an urban neighborhood and former municipality of Belgrade, the capital of Serbia. It is located in the Belgrade municipality of Stari Grad (Old town) and generally considered the main bohemian quarter of Belgrade, similar to Paris' Montmartre. After Kalemegdan, Skadarlija is the second most visited tourist attraction in Belgrade. The Belgrade Good Hope garden (Serbian: Београдски врт добре наде / Beogradski vrt dobre nade) is a zoo located in Belgrade, Serbia. The zoo is situated at the very centre of the city, in Kalemegdan Park. Beo zoo vrt was founded in 1936 and is one of the oldest zoos in Europe. Rome2rio makes travelling from Oplenac to New Belgrade easy. Rome2rio is a door-to-door travel information and booking engine, helping you get to and from any location in the world. Find all the transport options for your trip from Oplenac to New Belgrade right here. Rome2rio displays up to date schedules, route maps, journey times and estimated fares from relevant transport operators, ensuring you can make an informed decision about which option will suit you best. Rome2rio also offers online bookings for selected operators, making reservations easy and straightforward.